The Washington Post’s fact checking team prides itself on compiling all of President Donald Trump’s false and misleading statements in one easy-to-use database. However, a review of just four days of Trump statements that were fact checked by the Post reveals hundreds of claims that have been erroneously labeled false. 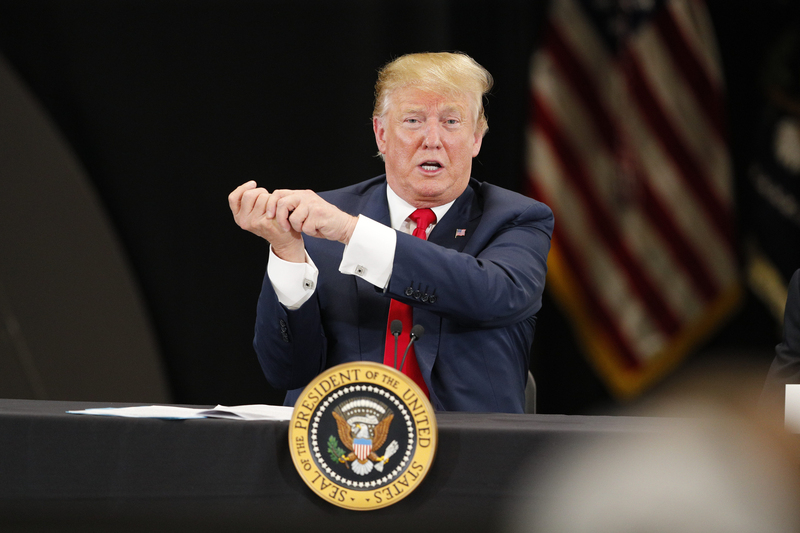 The Daily Caller reviewed the Post’s database of Trump falsehoods from March 28, 2019 to March 31, 2019 and was able to identify a number of Trump claims that should’ve been labeled true or unsubstantiated. Here are just some of the “false or misleading” claims the Caller identified as being true or unsubstantiated. The Facts: Customs and Border Protection (CBP) spokesman Roger Maier told The Daily Caller News Foundation in March that new wall is being built on the border in places where there were gaps or only small or ineffective non-wall barriers. “CBP has built and continues to build new border wall along the Southwest border. To date, CBP has built 38 miles of new border wall system in San Diego and Calexico, California, Santa Teresa, New Mexico and El Paso, Texas,” Maier said. While the money Trump received from Congress limits new construction to “bollard fencing,” the president is also funding the wall through his national emergency declaration and freed up anti-drug funds from the Pentagon. According to The Washington Post, Trump has repeated this “false or misleading” claim 139 times since taking office. The Facts: Special Counsel Robert Mueller was appointed to investigate “any links and/or coordination between the Russian government and individuals associated with the campaign of President Donald Trump” and matters that may arise from that investigation. Attorney General Bill Barr said in a letter to Congress that Mueller did not find evidence of collusion between the Trump campaign and Russia. While it is true that Mueller was able to charge Trump campaign members for crimes, none of the special counsel’s indictments directly related to collusion, the main purpose of the probe. According to The Washington Post, Trump has repeated this “false or misleading” claim 115 times since taking office. The Facts: Trump specifically says in this quote that he is counting since his election, not since his inauguration, so it is unclear why WaPo included this in their list of false or misleading claims. The Post also does not consider the effect of consumer confidence and market reactions on job growth. U.S. economic confidence surged after Trump’s election in 2016, and positive outlooks on the economy could lead businesses to hire more workers. According to The Washington Post, Trump has repeated this “false or misleading” claim 77 times since taking office. The Facts: Trump did not say that McCain’s vote was the “only impediment” to “killing Obamacare.” Further, the “skinny” repeal would have eliminated the individual mandate, temporarily eliminated the employer mandate, give states more waivers on Obamacare regulations, and increase contributions to Health Savings Accounts. Those are all key provisions of Obamacare and the bill was expected to destabilize the Obamacare market. According to The Washington Post, Trump has repeated this “false or misleading” claim 38 times since taking office. The Facts: The Washington Post did not mention any of the detrimental aspects of Obamacare that would cause the president to label it a “disaster.” For example, millions of people lost their employment-based and private health insurance plans and were forced to pay for coverage they did not need. Obamacare premiums are also more than double what an average private health insurance plan cost in 2013. Whether or not this means Obamacare is a “disaster” is better left to political debate than fact checking. According to The Washington Post, Trump has repeated this “false or misleading” claim 74 times since taking office. The Facts: According to a March report by the Washington Examiner, more drugs were seized at unguarded sections of the border than at ports of entry in 2018. Former Border Patrol Chief Mark Morgan also recently explained on Fox News that even if the majority of drugs were seized at ports of entry, that doesn’t mean drugs are not a problem between the ports. According to The Washington Post, Trump has repeated this “false or misleading” claim 86 times since taking office. The Facts: Rasmussen’s daily presidential tracking poll listed Trump’s approval rating at 50 percent on March 28, 2019. The Washington Post also takes issue with Trump citing a Rasmussen poll because it “consistently has a Republican-leaning bias.” Rasmussen says its polls tend to favor Republicans because it surveys “likely voters” rather than registered voters, and Republicans are more likely to vote. Rasmussen also frequently points out that it correctly predicted the popular vote margin in the 2016 election. According to The Washington Post, Trump has repeated this “false or misleading” claim 25 times since taking office. By reviewing just those 7 claims, the Caller was able to identify a total of 554 repeated claims that should not be included in the Washington Post’s 9,451 “false or misleading” claims since Trump took office. There are many more Trump claims in the March 28 to March 31 timeframe that the Post rated incorrectly, including claims about the unemployment rate, the Steele dossier, aid to Central and South America, and the Mueller investigation. The Washington Post’s fact checking database is routinely cited by other outlets as an infallible source for tracking Trump’s “lies.” The Los Angeles Times suggested Americans create a March Madness bracket to bet on when Trump tells his “10,000th lie,” while CNN’s Chris Cillizza wrote an entire article debating why Trump is “unfazed” by his numerous lies. The Caller’s review of the database, however, suggests the Post’s project isn’t as accurate or as useful as the establishment media likes to believe.